Born in Kettering, Shaun progressed from the Norwich City youth team into the first team squad, and went on the make 76 appearances for the Canaries. During his stay at Carlow Road, he won International honours with the Republic of Ireland Under-21 side. 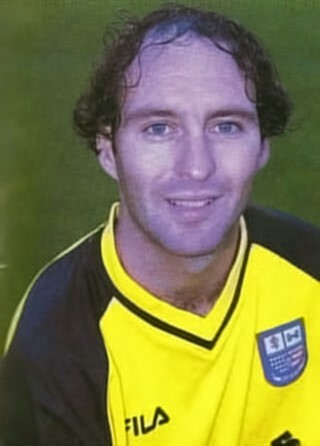 He made his debut for Norwich in September 1995, but an Achilles injury midway through the 1998/1999 season saw him spend a long period out of the first team squad. Despite reported interest from other clubs, no move materialised, and he was released at the end of April 2000. 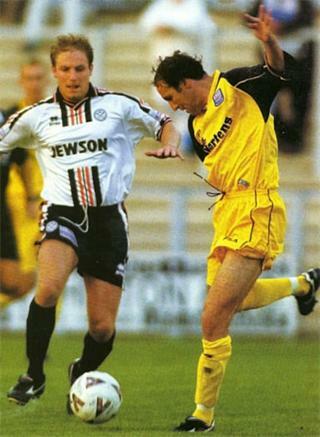 Shaun had trials with Gillingham and Bristol Rovers during July 2000 and the midfielder arrived at Nene Park on 20 August 2000, initially on a one month contract, but signed a two year deal on 20 September. He was a member of the Conference title winning side that season, but although playing in the opening ten games in their first season in the Football League, he lost his place in the side and was to play only three more games. He went out to Stevenage Borough on a one month loan on 14 December 2001 and after his return, he was sold to Conference side Chester City on 14 February 2002. He helped Chester to the Conference title two years later, but despite this, manager Mark Wright released him in May 2004 and an impressive offer from Conference South side Hornchurch saw him move to the Essex side managed by Garry Hill. Following financial problems however, and in November 2004, the whole team was offered for sale. He initially went to Weymouth (with Garry Hill), before a move to Droylsden in October 2005. On 26 December 2005, he joined Kings Lynn. On 5 September 2006 however, Shaun suffered a double leg fracture in the 2-1 win over Corby Town, and was sidelined for over a year. The club organised a benefit game for him against Norwich City in October that year, and he later took on the role of joint-caretaker manager after the departure of manager Tommy Taylor in November. He was then assistant to new manager Keith Webb until relinquishing that role in May 2007. After returning to fitness at the start of the 2007/2008 campaign, he eventually left to join Northern Premier League side Spalding United in March 2008, leaving the playing side of the game in May 2009. Shaun holds a UEFA B coaching licence and after a spell with the Northampton Town Centre of Excellence, he had a role as assistant to Jon Brady at the Arsenal Soccer Schools. He was also chief scout at Southern League Brackley Town from July 2010. He is currently an U12’s Coach with the Northampton Town Academy.